Instead of adventure and spontaneity, President Obama seeks comfort and consistency on vacation. HONOLULU – More than a week into his Hawaiian holiday, President Obama is proving to be a creature of habit. While some travelers seek adventure and spontaneity, Obama seeks comfort and consistency. His routine here in Oahu, the island where he was born and mostly raised, is by now patently familiar to the locals trying to catch a glimpse of their hometown president, and the reporters who come here to cover him. Obama is almost certain to spend his mornings working out at Marine Corps Base Hawaii. A leisurely dinner with friends and family at Alan Wong’s Restaurant, an award-winning eatery in the neighborhood where Obama grew up, is now an annual tradition. 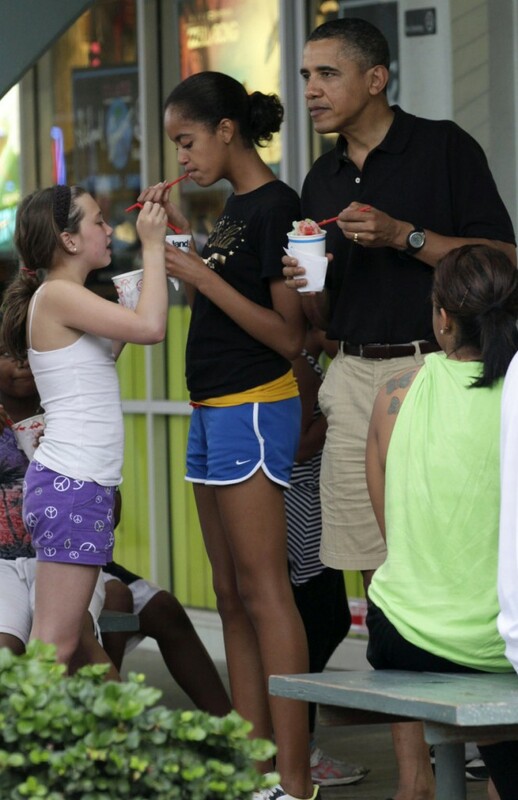 And a guaranteed place to spot the president is at Island Snow, a shop near his rented oceanfront home, where he treats daughters Malia and Sasha to shave ice, the Hawaiian version of the snow cone. So, doesn’t the president ever want to mix things up a bit, maybe go somewhere new? Not really, says White House spokesman Bill Burton, who is with the president in Hawaii. “Like most Americans, the president knows what he likes in his own hometown,” Burton said. Of course, things have changed since the days when Obama lived here with his grandparents and scooped ice cream at a local Baskin Robbins. The logistics of any presidential movement make a truly spontaneous stop nearly impossible. Advance teams scope out all potential destinations ahead of Obama’s arrival, and Secret Service agents have to sign off on security.